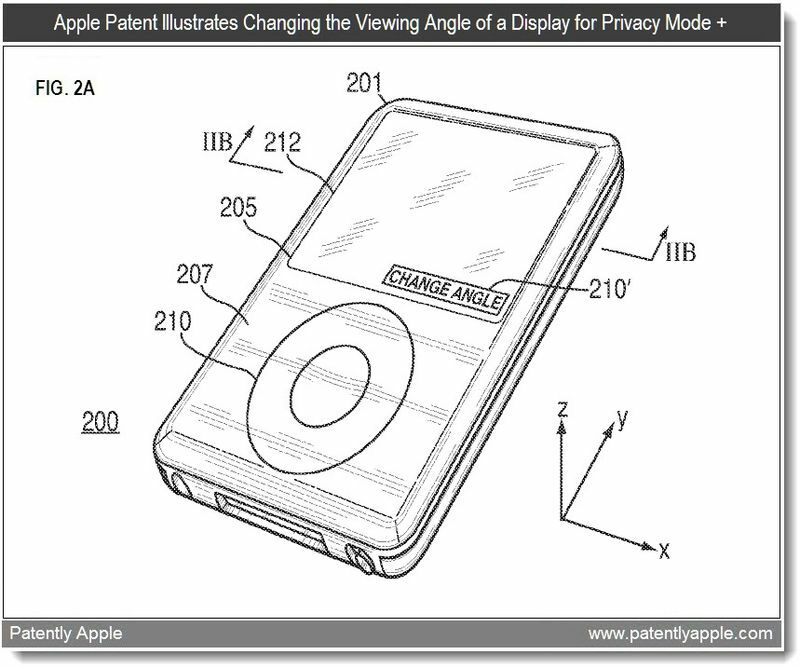 Patently Apple has encountered a recent patent application by Apple that indicates future displays of Apple mobile devices such as the iPhone, iPad, or iPod touch will include options for ‘privacy mode viewing’. 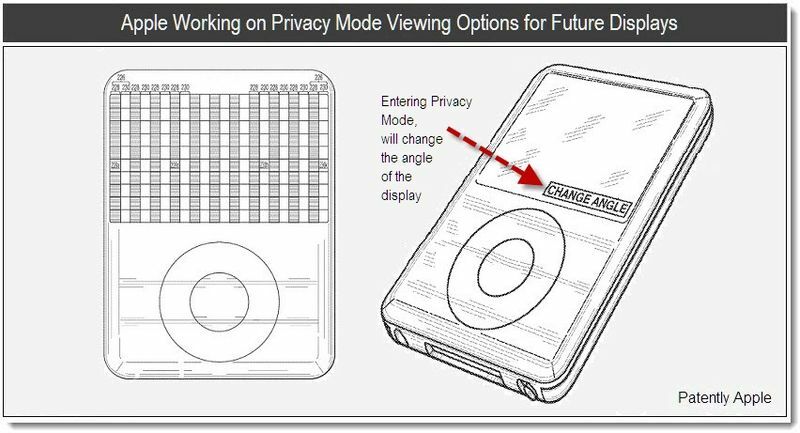 How the user will actually enter privacy viewing mode is illustrated in Apple’s patent FIG. 2A’s patent point 210 below. Here we see that touching a corner of a future display will pull up a touch event option allowing the user to “change angle.” This will provide the user with options of entering various modes such as privacy and others. The need for ‘privacy mode’ is relevant for professionals that don’t want clients to see their screens, or anyone else that is looking for privacy when using their iOS device. How many times have you been on the bus with strangers checking out your iPhone screen? Those days will be eliminated if this feature is introduced in the future. Currently there are reflective screen protectors that can achieve similar effects, but Apple’s privacy mode utilizes the electronic controlling of liquid crystal optical elements to hide your screen. 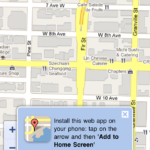 Have you ever been in situations where you required ‘privacy’ with your iPhone?